JFC Financial Services began in 1992 as a small financial services firm. Today, JFC supports around 180 independent financial professionals. JFC Financial Services advisors hit the target twice when they affiliate with our OSJ; they benefit from experienced support and a culture of independence! 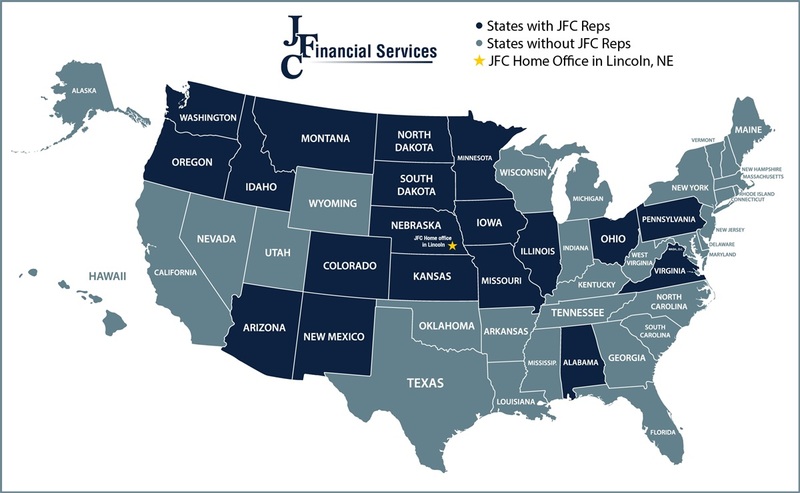 JFC-affiliated advisors are located coast-to-coast and operate their businesses in a variety of settings. JFC-affiliated advisors operate their practices in many ways. If you are an experienced financial advisor looking for the support you need to grow your practice and the independence to run your business your way, then call Jack Connealy at (402) 483-2555 today and reap the reward. You don't want to miss this unique opportunity!